Technology is having an impact on how people buy which means that you have to change the way you and your sales team are selling. In this course we will show you how to leverage the changes to effectively sell and market your products. 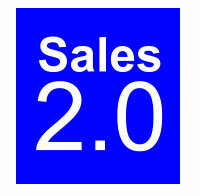 Sales 2.0 is about sales people using Web 2.0 tools and social media to sell more effectively. Identifying and finding your target audience using online tools. Researching your prospects. Discover Web search secrets for finding qualified leads, uncovering opportunities, and understanding decision makers. Using content to capture leads. Understand the importance of your network and grow it strategically. Connecting with prospects and strategic partners. Use next generation prospecting tools to expand sales pipeline. Learn what is important to your prospects and clients so you can close more business, faster. Every session will be recorded and available for review or in case you miss a session.